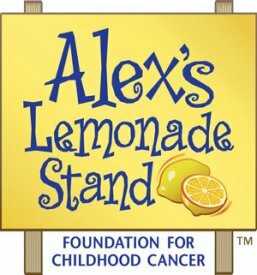 We are always raising money to help Alex’s Lemonade Stand Foundation move one step closer to finding a cure for all children with cancer! We are selling our samples from our shop and 100% of the money from the sale will pay for research to find better treatments and cures for childhood cancer. Of course, you can just donate money as well! Please help kids and their families by providing desperately needed hope! Thanks for your support! We have most of the items shown on our facebook page that are currently for sale, please check www.facebook.com/quiltsandquiltsthefabricshoppe for items. There is only one of each item and we ask that you please call to order. The samples are for sale in the shop 6 days a week so the selection is always changing! To see how much we have raised or to donate, click here! This is Ethan, our super hero. He fought for nearly 2 years to beat cancer. Had more money been put towards research to find cures and better treatments, he could have lived his life. Over the past 20 years, one new drug has been approved by the FDA to treat childhood cancers. One. 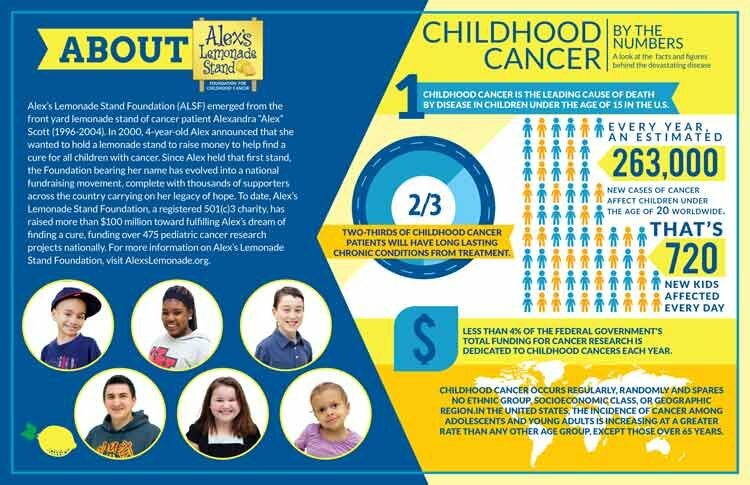 Even though childhood cancer will touch 720 kids every day. Awareness isn't enough. We are donating for a solution. 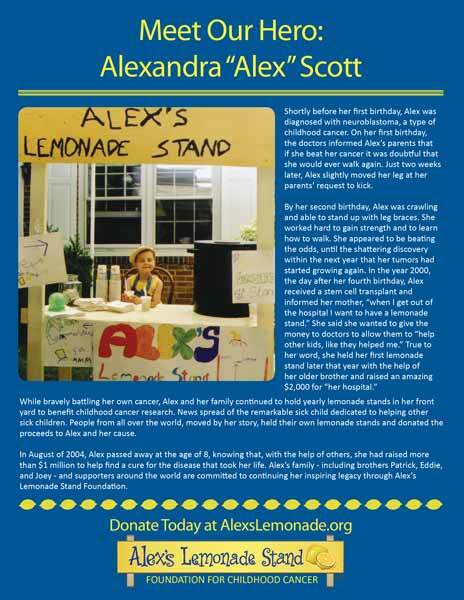 Alex's Lemonade Stand funds research to find a cure. 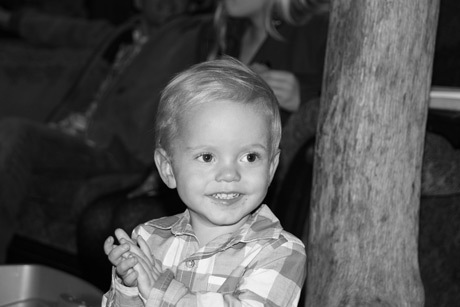 We miss Ethan everyday, and everyday, we work for a cure. The samples to not qualify for any free shipping promotions or discounts-we have already donated all the labor and cost of materials for these items and give the full price listed to Alex's Lemonade Stand. If the samples do not sell in the store, then we donate the samples to local families having auctions and fundraisers for those battling cancer. We have experienced first hand the amount of stress a family goes through when a loved one or small child is fighting for their lives. We want to do everything we can to help find a cure or to at least lessen the financial burden and the worries about money.